Greetings from Seattle, USA! In mid March I returned from a very enjoyable, month-long ski trip in Japan involving 11 ski areas (Nozawa Onsen, Shiga Kogen, Hakuba Happo, Niseko, Furano, Appi Kogen, Zao, Tengendai, Naeba, Myoko Suginohara, and Arai listed in the order visited). The purpose of this article is to share some of my experiences, personal observations and fond memories of traveling through some of Japan’s beautiful mountains; skiing at many very good ski resorts; staying at delightful, small, family-owned-and-operated pensions; enjoying delicious Japanese food; relaxing in spotlessly clean onsens; and enjoying the gracious, kind, friendly and helpful people I met wherever I went. First a little about to me: I am a married, 67 years-young, retired Boeing executive with 7 children, 6 grand children and a dear 95 years old mother. I have always had a passion for traveling and skiing and travel about 4 months each year, including at least one, month-long, away-from-home ski trip. I have roamed over parts of all six continents, visited 56 countries, skied at a minimum of 125 ski areas (91 in North America, 23 in Europe and 11 in Japan) and many more ski resorts, and visited the major ski areas of South America and New Zealand during their off-ski season. When home I catch up with my family and friends; ski, climb and backpack in local mountains (up to 4000+ meters); work on home projects; spend a day or two each week building houses for the poor with Habitat for Humanity; and plan my next travel and/or ski adventure. 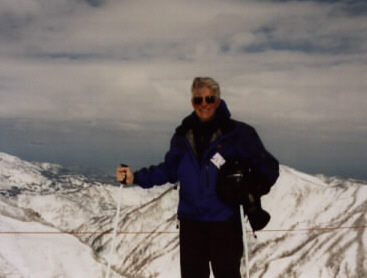 I had thought about skiing in Japan for many years and my good Japanese friend, Hiroshi Kira, had chided me over the last decade for missing “some of the world’s best skiing” which was, of course, in his native land. Last fall, he encouraged me to ski with him in Japan this winter and said he would handle all the arrangements. I just needed to show up. Hiroshi’s approach to planning was to seek expert advice. His long-time, Tokyo friend, Satoshi Suzuki, was to provide the transportation planning and “friends of a friend” were to provide skiing and accommodation advice. This approach was OK for me. Planning a trip is part of the fun of traveling so I went through my usual trip-planning process, which proved to be helpful since business demands on Hiroshi would allow him to accompany me only for the first 10 days. My early research found SnowJapan.com to be an excellent source of information. Now my ski area selection criteria are lift-serviced terrain must have at least 600 meters of vertical, good “steeps” ( at least 20% of area rated “expert”) and at least 250cms of natural snow covering it. By using this criteria on a SnowJapan.com’s list of top 25 Japanese ski areas and reading associated boarder reviews, a list of potential ski areas to be visited was developed initially and continued to evolve as advice from knowledgeable skiers was acquired. On February 15, I checked into the Tokyo hotel where Hiroshi had been staying for the past week while on business. We were joined the next morning by Suzuki, who for the next few days would be skiing with us and driving us in his car. Per Hiroshi’s plan, our first stop was Nozawa Onsen, a site of the 1998 Winter Olympics and home of Mr. And Mrs. Mikio Katagiri, the “friends of a friend”. They own Haus St. Anton where we stayed and enjoyed their excellent food, hospitality and advice. Mikio is Director of the Nozawa Onsen Ski School and former Head Coach of the Japan National Alpine Ski Team; he reviewed our list of potential ski areas and helped finalize it by his insightful comments and suggestions. Mrs. Katagiri arranged for very comfortable accomodations for us at Shiga Kogen, Hakuba and Niseko. Nozawa Onsen’s 1085 meters of vertical, with 15 cm of fresh powder, provided us a couple of excellent, long, groomed, high-speed cruiser runs and a few challenging steeps (including the famous Schneider run). The steeps were mostly ungroomed and, during the two days we skied there, the sun-exposed steeps were covered with big, nasty, icey mogels that indeed were challenging. Its mellow top had some easy glades. Suzuki had skied the very-large, connected Shiga Kogen ski area many times in the past and considers it one of his favorite ski areas in Japan. Since he knew the area as well as the back of his hand, he was able to lead us over most, if not all, of the significant runs of Shiga Kogen including at least a half dozen well-groomed steeps. Off-piste opportunities were limited by prohibiting signs and groomed “ski alleys”. After a couple days of skiing on very good snow, we moved on to our next stop, Hakuba, where Suzuki had to leave Hiroshi and me and return to work in Tokyo. With its 1071 meters of vertical Hakuba Happo is a very good ski area with good, but not death-defying, groomed and ungroomed steeps. The skiing on more than 30 cm of fresh powder was very good and the view, when the clouds lifted, from its top of the surrounding virile mountains was spectacular. Per Suzuki’s recommendation, we took a night train to Sapporo and then the local train to Niseko. The 960 meter vertical of Hirafu has some very good steeps as well as some very good, high-speed cruisers; the piste and and off-piste skiing was excellent on fresh dry powder; it has a great bowl requiring a short steep hike. We found the top of Niseko Higashiyama, which connects with Hirafu, to be good but the rest of it tame, cruiser country. The intervening Prince Hotel area that was open-for-skiing also was tame; however the area toward Hirafu, which was closed due to potential avalanches, looked interesting. While on the train from Sapporo to Niseko, we (mostly Hiroshi) had an interesting conversation with a flamboyant 70+ year old woman, Mrs. Teruyo Watanabe, who has the same family crest as Hiroshi. She invited us to dinner the next evening and sent her driver to get us. Upon our arrival at her B&B, which is also the location of her coffee roasting business, she served us a wonderful meal that probably took her the whole day to shop and to prepare. What a treat! On February25, Hiroshi left for Taiwan on business and I resumed my more usual, low-to-moderate cost approach to travel and accommodations. Suzuki had faxed his transportation plan for the rest of my trip to our hotel in Niseko so I had a travel plan and only had to think about accommodations. As usual, I lined up accommodations for my next stop before leaving my current location so as to avoid related, end-of-the-day problems in a strange village. The Japan National Tourist Organization’s excellent toll-free, English-speaking, “Japan Travel-Phone” (0088-22-4800) service provided me with lodging information (hotel/pension names and telephone numbers) for Furano and I got a very good, inexpensive room in the DU House across the street from the gondola in the original section of the resort. Although it does have 959 meters of vertical, Furano lived up to its billing as being primarily a well-groomed, tame hill aimed at intermediate skiers. I skied there to relive some of my memories of the 1972 Olympics in spite of its less than great recent press. It lived up to my expectations. Moving back to Honshu, I used a reliable strategy to find a room at Appi Kogen. Namely I called the well-located, luxurious Grand Hotel at Appi and, after learning their lowest price for a room, asked for help in finding a low-to-moderate cost hotel or pension. The result was a telephone call from Kayoko Morikawa who was to become the “angel” of my trip. She is co-owner of the delightful Pension Mutti at Appi Kogen where I stayed a couple of nights while enjoying excellent meals, a pleasant room, a relaxing onsen, and great hospitality. Kayoko formerly was one of Japan’s top ski instructors and through her network of many ski instructor colleagues knew at least one excellent, low-to-moderate cost pension at each of the ski resorts that I planned to visit; she took charge of lining me up with excellent accommodations for the rest of my trip, March 2nd thru the 15th. But she did even more: Each day, Kayoko checked to make sure all was well, to advise me of my next pension, and to make any necessary adjustments. She also faxed travel directions written in Japanese so others could help. I have never before encountered such continuing travel assistance! Getting back to skiing, I skied all the significant runs of Appi Kogen in a snow storm with occasional white-out conditions and found its 805 meters of vertical to be tame. It was on my list since it was said to be the second most popular ski resort in Japan. The Grand Hotel complex was very impressive. Since heavy snowfall was forecasted to continue for the next couple of days, I cut my stay short and was on the road again. I arrived at Zao in a blinding blizzard and thanks to Kayoko’s excellent directions and the short distance from the bus terminal, I was soon at the very enjoyable Pension Yoshida-Ya. Zao consists of three distinct large areas, has 880 meters of vertical and a few good steeps. There was very little organized, off-piste skiing but Zao is a cruiser’s delight with its many groomed, intermediate runs. The view from its top was truly a treat: hundreds of stately snow monsters (ice/snow encrusted trees), magnificent neighboring mountains and a sprawling valley below. The hot-spring-fed streams in the village added to its uniqueness. While at Zao, Kayoko had faxed me the name and directions to my accommodations at Tengendai but when I got off the bus at the Yamagata station on the way to Tengendai, a bus system employee told me to call Kayoko. She subsequently advised that the ropeway up to the ski area where I was to stay was shut down due to high winds so my accommodations for the night had been changed to a village inn below, and the owner of the inn would be in front of the Yonezawa train station in a maroon pickup truck at 11:30 AM to bring me to his inn. Sure enough, at 11:30, there was Toshio Kamimura in his truck; he drove 30 kilometers on snow-covered roads in a blizzard so I would not have to wait an hour for a bus! At 72 years of age, he is still a 100K runner, a practicing artisan, and an excellent cook. The next morning I was able to get up to the ski area, checked into Pension Edelweiss and started skiing at Tengendai . It is one of those delightful, small ski areas with a limited lift system (a ropeway and three chairs staggered up the mountain) serving its 900 meters of vertical and reportedly great steeps (30% expert) and off-piste skiing. Unfortunately the best steeps were only vicariously observed due to severe avalanche conditions (more than a meter of fresh powder in the last 24 hours). I left the next morning (Sunday) via ropeway to the village below, bus to Yonezawa, bullet train to Yuzawa and bus to Naeba, arriving in mid afternoon just as the weekend crowd was heading home. Naeba is a large area with good vertical (889 meters) and some good long steeps (30% “expert”); when I arrived, a blizzard was in progress and providing lots of new snow; the next day the visibility was less than good (The very top did not open due to poor weather conditions. ); however I skied all the significant runs available and found Naeba to be a noteworthy ski area. The gigantic Prince Hotel complex at the base of the lifts is very impressive as was the hot-spring-fed, water-sprinkling system that kept the parking lots and walkways snow free. Again heavy snowfall and poor visibility was forecasted for the next couple of days, so I moved on to my next stop, Myoko Suginohara where I was met at the train station by Kiichi Yamakawa, owner of the comfortable, pristine Yamakiya Pension which was run by three generations of his family. Myoko Suginohara has a couple of good steeps and lots of good off-piste skiing available on its 1124 meters of vertical and 20% expert terrain. Another cruiser’s delight! Kayoko had made arrangements for Mr. Yamakawa to drive me to and from Arai Mountain and Spa as a day trip. Arai provided some of the best, big, open-terrain skiing of the trip with good steeps (1100 meters vertical and 25% expert) and an abundance of off-piste skiing in deep, heavy/ wet coastal snow, much like one encounters occasionally in the Pacific northwest where I live. Fortunately after my first run in the morning, I hooked up with Blair Anderson, Arai's International Marketing Representative and one of the few Caucasians I encountered outside of Tokyo. We covered the best Arai had to offer in glorious sunshine with Blair being my guide and me being Blair’s motivation to push his comfort zone. What a great way to end a wonderful ski trip! The next day I traveled back to Seattle. The mountains of the ski areas visited are young, rugged and many of volcanic origin. Although they reminded me of those found in the northeastern part of North America relative to their elevations (less than 2000 meters), verticals (mostly less than 1000 meters), steeps (not death defying), and generally being tree covered with conifers and deciduous trees up to, or nearly to, their tops. Their snow fields are not as vast as those found in many of the ski areas of Europe’s Alps, North America’s Rocky Mountains, and South America’s Andes, whose mountains are often more than 3000 meters and whose tree lines are often far below their summits. Grooming was generally on par with that found elsewhere in my ski travels; however the practice of grooming one side of heavily-mogeled, steep slopes was infrequent. Avalanche control activities were more like in Europe and not as evident as one experiences in western North America, this was probably due to the wooded hillsides and ski area rope offs which reduced the extent of avalanche hazards; however there were several areas where overhanging cornices and/or heavy, wet fresh snow concerned me. Off-piste skiing availability varied significantly: Arai gave one pretty much a free hand to ski just about any where whereas Shiga Kogen used prohibitive grooming, ropes and signs extensively. My experience with snow boarders in Japan was comparable with other parts of the world. I was hit by one (from uphill and behind) and missed by the rest! The poor guy who hit me was initially stunned, but then apologetic; he was not wearing a helmet. I saw very few helmets being used; evidently the helmet manufacturers have not pushed their wares yet in Japan! I had been warned that weekend skiing in Japan was similar to northeastern North America where skiers mob the resorts on weekends. With the exception of Tengendai, which I skied on a Saturday in a blizzard and with no lines, I did not ski on the weekends and used these days to move to my next ski area. I did observe the crowds exiting or descending on the resorts as I was on my way in or out. At major North American and European destination ski resorts, Saturdays is usually a transition day and crowds are OK but not on Sundays. Japan’s excellent high-speed transportation system allows for crowds on both days! I found the people of Japan whom I met to be very kind, friendly and helpful. Whenever I asked a question or for help at a bus or train station or store or wherever, I always was helped graciously. As usual, I tried to never ride a ski lift alone and always would greet my fellow lift riders with “ohayoo gozaimus” followed with the question “Do you speak English”? Most of the time I would get a positive reply, with varying degrees of reservation. I then would always report I lived in Ichiro’s summer baseball home, Seattle, which most people “knew”. Enjoyable conversations usually followed. If you enjoy: skiing at very good ski areas; being with gracious, kind, friendly and helpful people; relaxing in natural hot springs (onsens) after skiing; eating great Japanese food; staying in small, family-owned-and-operated pensions in small, quiet, mountain villages; and traveling on an excellent public ground transportation system; then Ski in Japan!!! I will again for sure.